Every year Journey Mexico invites a select group of our elite travel partners to join us on a research and familiarization trip to let us show them what traveling with Journey Mexico is like. 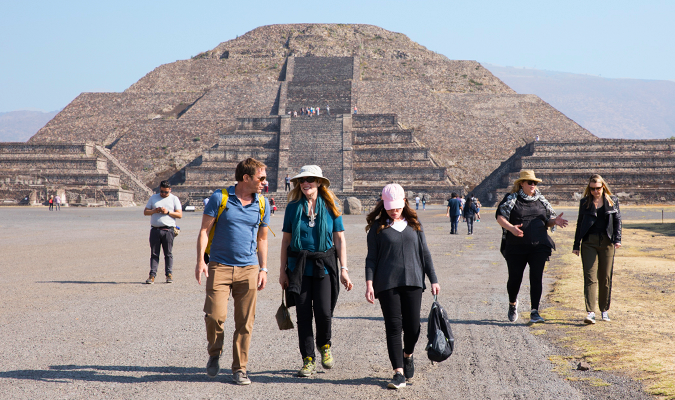 This year we decided to also have a 7-day research trip, hitting some of the most iconic attractions in Central Mexico: Teotihuacan, Mexico City, Michoacán and Puebla. 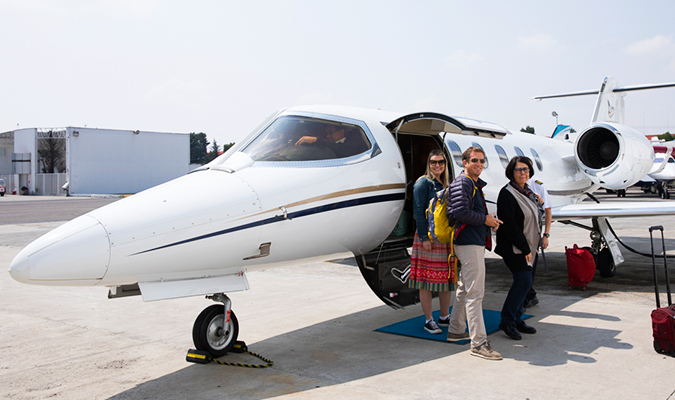 Our guests had the chance to fly over Teotihuacan’s pyramids, try Puebla’s renowned cuisine and sit in the forest as thousands of monarch butterflies flew around them. Take a look at the following pictures and see some of the best moments of our trip. 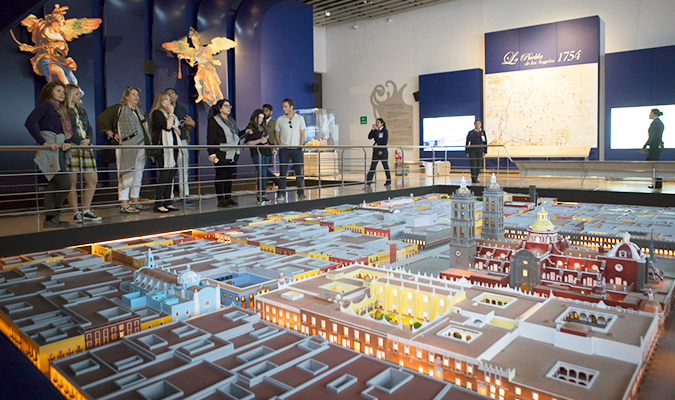 A model of colonial Puebla at the International Museum of the Baroque. 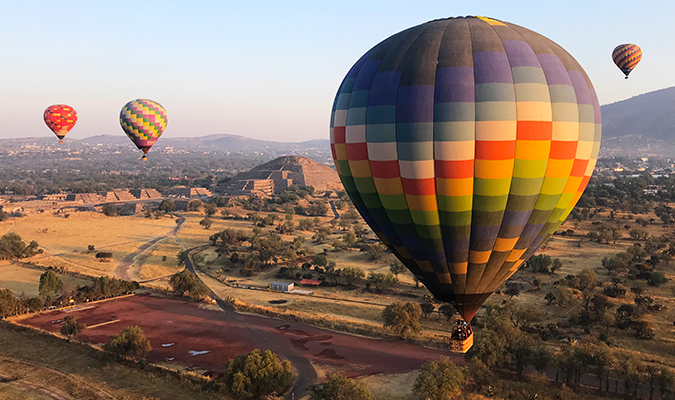 Hot air balloon ride over the ancient city of Teotihuacan. Walking down the Avenue of the Dead in Teotihuacan with the Pyramid of the Sun on the background. 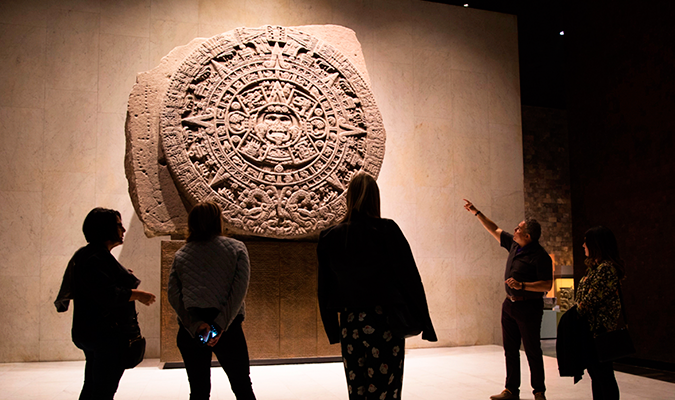 Guide Ernesto Rivera points to the Aztec calendar stone during a visit to the National Museum of Anthropology. On the way to El Rosario Monarch Butterfly Reserve. 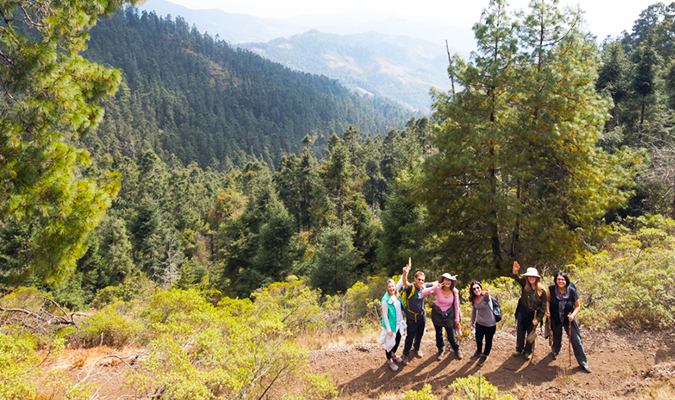 Are you interested in being part of these experiences on your next trip to Mexico? Take a look at our sample itinerary Mexico’s Great Colonial Cities for travel ideas to Mexico City and Puebla–or take a Culinary Tour Through Mexico City and Puebla if you’re into amazing cuisine. 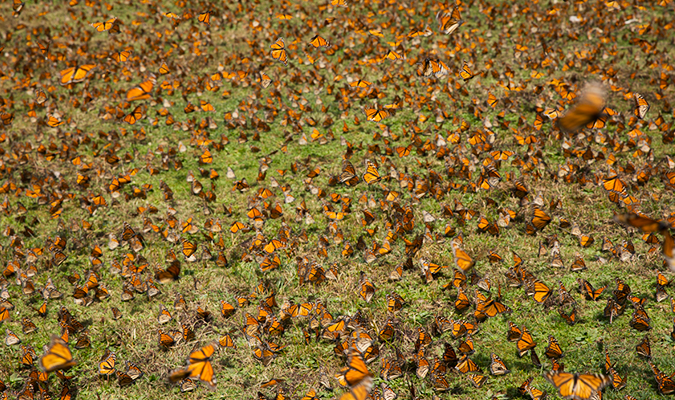 Monarch Butterfly season takes place from November to March, but February is the best month to see this magical migration. What a beautiful photo selection! Traditions are one of my best on every country and Mexico is full of that. Lovely experiences, delicious food and amazing surprises on every state.